Lists, Stats, Charts …and more! The New Musical Express (NME) was one of the major British weekly music publications throughout the 1960s (and beyond into its heyday in the ’70s and ’80s). The Beatles featured regularly in its annual poll and played at the Poll Winners Concert on four occasions. 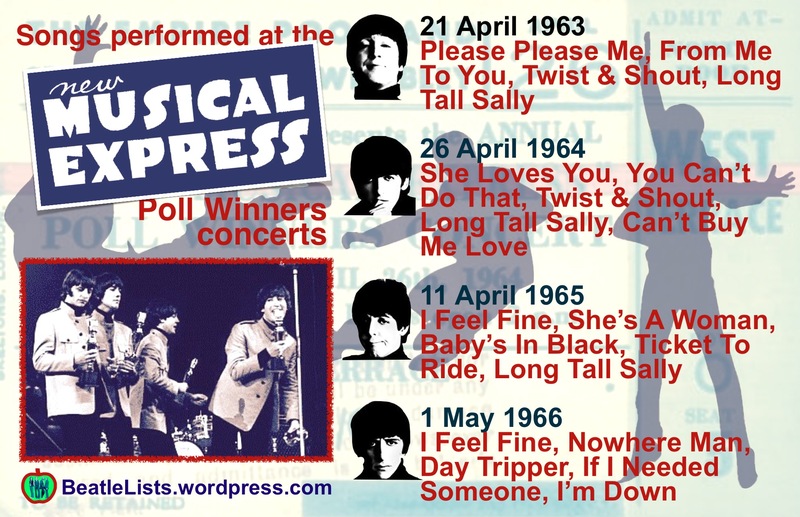 Please Please Me, From Me To You, Twist And Shout, Long Tall Sally. She Loves You, You Can’t Do That, Twist And Shout, Long Tall Sally, Can’t Buy Me Love. I Feel Fine, She’s A Woman, Baby’s In Black, Ticket To Ride, Long Tall Sally. I Feel Fine, Nowhere Man, Day Tripper, If I Needed Someone, I’m Down. The concerts took place at the Empire Pool, Wembley (now the Wembley Arena) and could be seen as the precursors to the Brit Awards that became popular from the late-80s (the US equivalent would be the longer-established Grammys). The Beatles’ performances from ’64 and ’65 were filmed and broadcast by ABC TV in the UK. 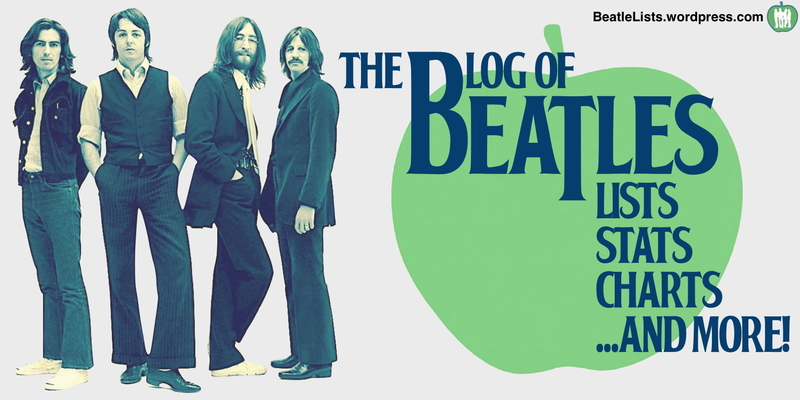 The Beatles’ segment of the ’66 concert was not filmed after Brian Epstein failed to reach a contractual agreement with ABC (although the rest of the concert was filmed and broadcast). The 1966 concert was The Beatles’ last scheduled live appearance in the UK.